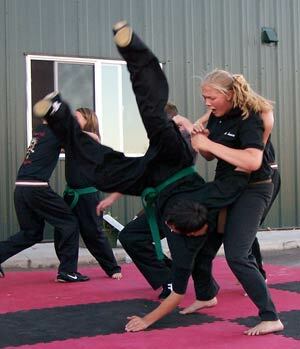 Finding an effective martial arts school has always been difficult. Nowadays most martial arts schools focus on things other than self defense. Most are focused on teaching children or training for competition. There are really only a handful of schools that teach Kung Fu in it's original form. It's sad but true that it's hard to find a martial arts school that's all about martial arts. Easily Learn martial arts from home. Learn the most effective style. That's why we created this program. We've been teaching a pure fighting kung fu for over twenty years. It's a phenomenal art with principles of body motion just not found elsewhere. Do You Have a Strong Desire to Learn? Body shape or size really doesn't matter. The art is based upon principles of body mechanics that allow anyone to create immense power. Size and strength is not what makes this happen. That's all it really takes. A strong desire to learn. If you have that you'll be successful. We've spent decades developing our unique methods of getting beginners up to speed fast. Learn how we can make learning the most sophisticated art in the world easy to understand and simple to learn.